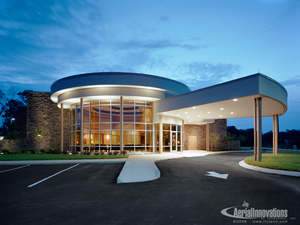 LPe provided structural engineering services for this 15,000 square foot, single-story surgery center. The steel frame facility is braced with X-bracing and the foundation supported on shallow footings. LPe provided structural engineering services for this 130,000 square foot, three-story post tension concrete/composite steel frame new replacement hospital consists of three levels with several architectural features. The roof of the structure consists of metal trusses and composite steel frames and lateral stability is provided by X-bracing. The foundation consists of grade beams and drilled piers. LPe provided Structural engineering services on this single-story 15,000 square foot Emergency Room expansion at the existing hospital. The structure consists of steel framing laterally braced with X-bracing while shallow footings make up the foundation. 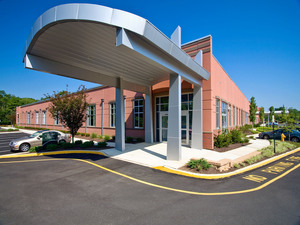 LPe provided structural engineering services for this new three-story hospital. The MOB structure consists of composite steel frame and steel joists and columns while lateral stability is provided by X- bracing.